Does anyone remember ‘Howard’s Way’? Given the age of many members of Boaters, and hopefully you will not consider me rude when I raise this issue, but I would be rather surprised if many of you did not remember this Sunday evening TV staple. It had a role in inspiring me to take to the water. And it featured tales of extra-marital affairs, dirty business dealing and power dressing. It is best described as cheesy. But in those days we only had 4 channels to choose from. We lacked iPads. We didn’t have Facebook or Twitter and SnapChat to amuse us. So it got pretty decent ratings. There wasn’t much sailing done, from memory, but the clothes were always stunning. Especially the shoulder pads. And even the men were well dressed. And tanned. And medallioned. Lots of navy and white. Always well pressed. Always cool. It was power dressing on steroids. Now think back to your last Boaters weekend. How much navy and white did you see? How many people packed a blazer? How many wore dazzling white deck shoes? How many of us were sporting shoulder pads under our Bromsgrove Boater gilets? Commodore’s Report on what we’ve been doing in the club this year; Treasurer’s Report on what we’ve spent doing it; any Proposals for doing it better in future; and election of next year’s committee members – who have to organise it all over again next year! 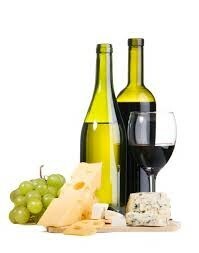 And if that wasn’t exciting enough, you can be sure that the wine and cheese will be!